The Archives is happy to announce that the Duke Cancer Institute Records has been reprocessed and is open for research. The Duke Cancer Institute (DCI) was established in 1973 as one of the original eight comprehensive cancer centers designated by the National Cancer Institute (NCI). Since, Duke cancer researchers have made many notable accomplishments in the field, including the creation of the nation's first outpatient bone marrow transplantation program (1992) and assisting in the discovery of the BRCA1 and BRCA2 genes that are responsible for many inherited forms of breast and ovarian cancer (1995). In 2010 the DCI was Duke’s first entity to consolidate cancer care, research, and education. The Medical Center Archives is happy to announce that new additions to the Division of Cardiology Records and the Joseph C. Greenfield Papers are open for research. The first collection documents the administrative functions of the Division of Cardiology, as well as the personal experiences of its faculty and residents, while the second collection contains the research and personal files of Dr. Joseph C. Greenfield, one of the division’s most accomplished physicians. 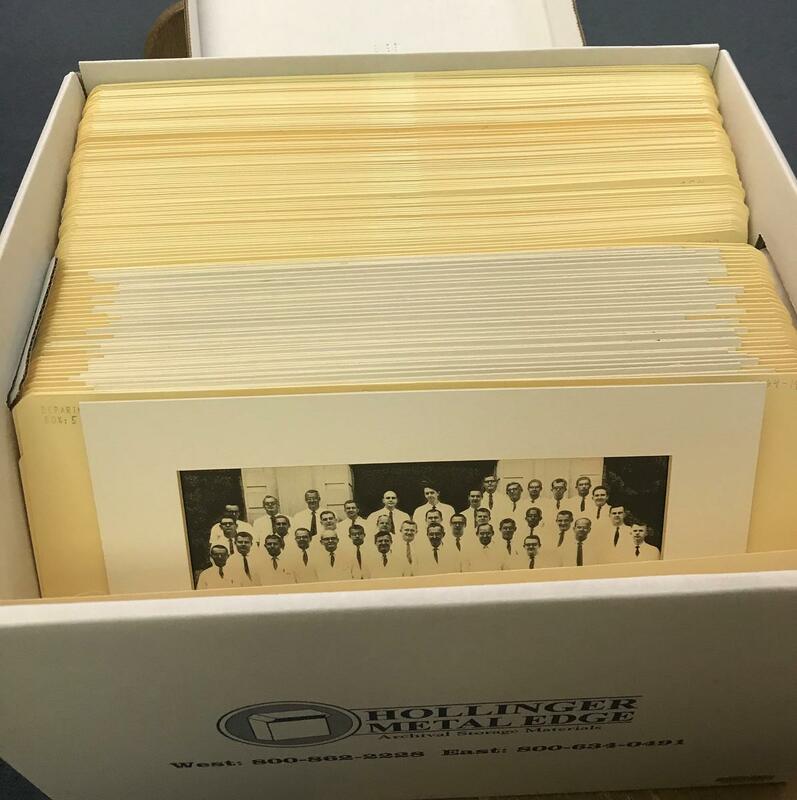 The Duke University Medical Center Archives is happy to announce that the Duke Surgical Women’s Club Records are processed and open for research. 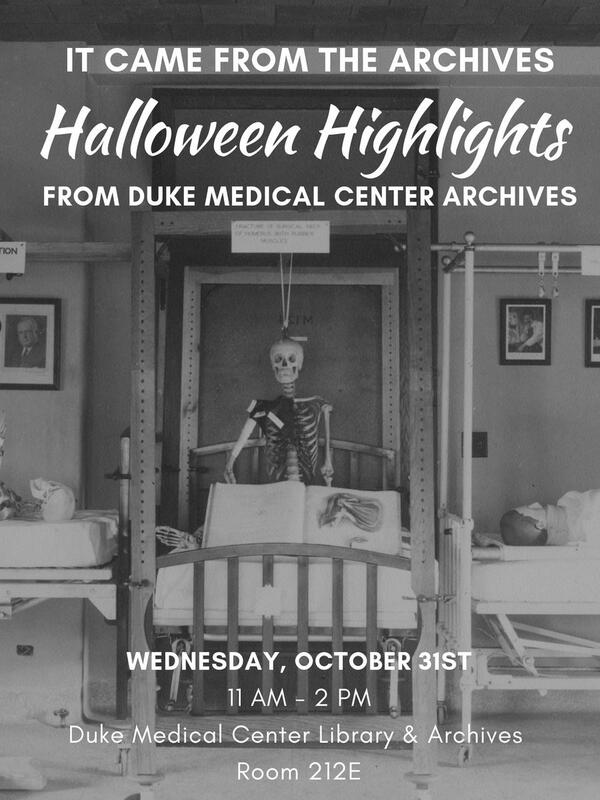 The collection contains records pertaining to the club whose members were the spouses of interns, residents, and follows in the Department of Surgery at Duke. This collection documents the philanthropic and social activities of the Duke Surgical Women’s Club, including the October 1977 vote in which the club voted to change their name from Duke Surgical Wives to Duke Surgical Women. Materials include the club’s newsletter, The Probe; publicity committee materials; scrapbooks created by club members; and clippings pertaining to the club and their activities. 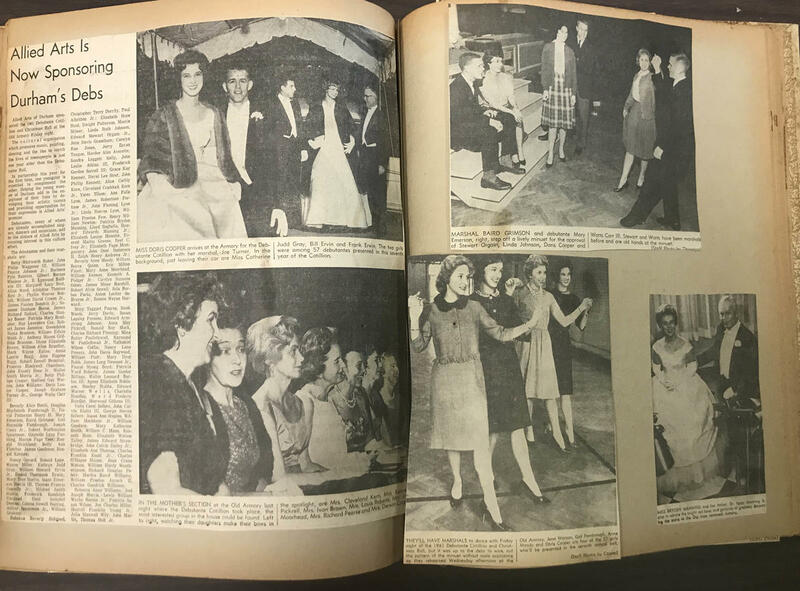 The Archives is pleased to spotlight our recently reprocessed Richard S. Lyman Papers. 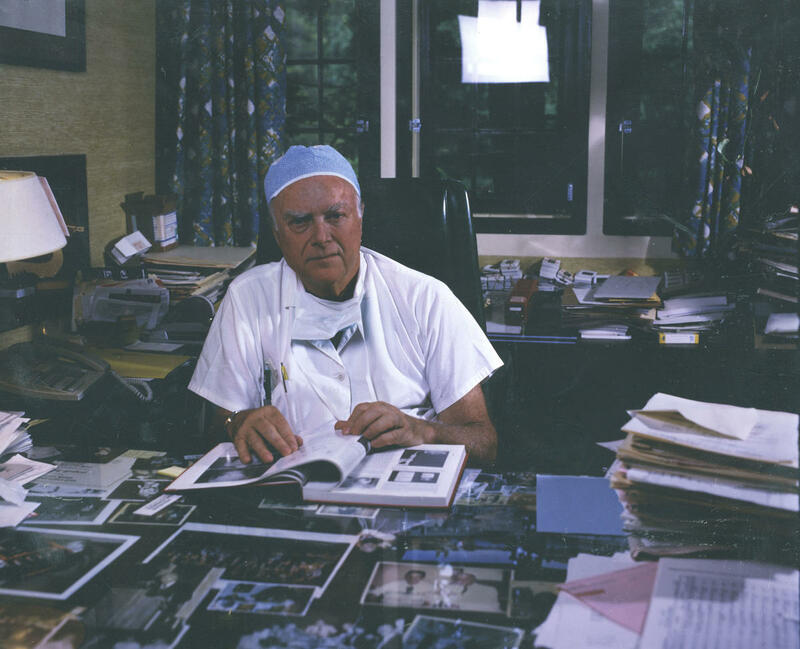 Dr. Richard S. Lyman was the founding chairman of Duke’s Department of Psychiatry in 1940, and his long career included widespread international research, projects with the United States Military, and service on the staff of North Carolina’s Highland Hospital. To learn more about Highland Hospital, visit the finding aid to the Highland Hospital Records. Materials in the collection date from 1927 to 1957. The Medical Center Archives is happy to announce that the Shirley K. Osterhout Papers are processed and open for research. The collection contains educational materials related to Osterhout’s career at the Duke University Poison Control Center. The Medical Center Archives is happy to announce an addition to the Department of Surgery Records. The collection documents the administrative functions of the Department of Surgery and includes records from the Department of Orthopaedic Surgery and the Division of Cardiothoracic Surgery. The new additions to the collection are group photographs of surgical staff from 1964 to 1994 and portraits of past students from 1930 to 2004. The majority of the portraits have handwritten inscriptions written by the students to department administrators and professors. This is the second blog post in a three part series about processing digital files. See the following link for Part 1 and Part 3. 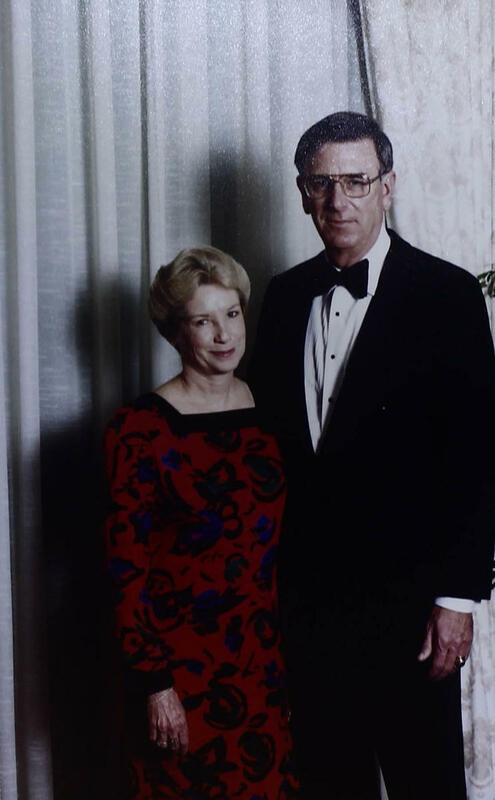 The Medical Center Archives is happy to announce that the Charles and Peggy Hammond Papers are processed and open for research. Interested researchers should contact the Medical Center Archivist before use. The collection is organized into the following series: Conference Materials, 1976-2007; Correspondence, 1956-2006; Personal, 1985-2005; Photographic Materials, 1978-2005; Printed Materials, 1978-2008. McKenzie Long joined the Archives staff as an intern in July. She received degrees in English and History from the College of William and Mary. Currently, she is working towards a Masters of Library and Information Science from UNC-Chapel Hill and expects to be finished in 2020. After graduation, she hopes to continue working in Archives.